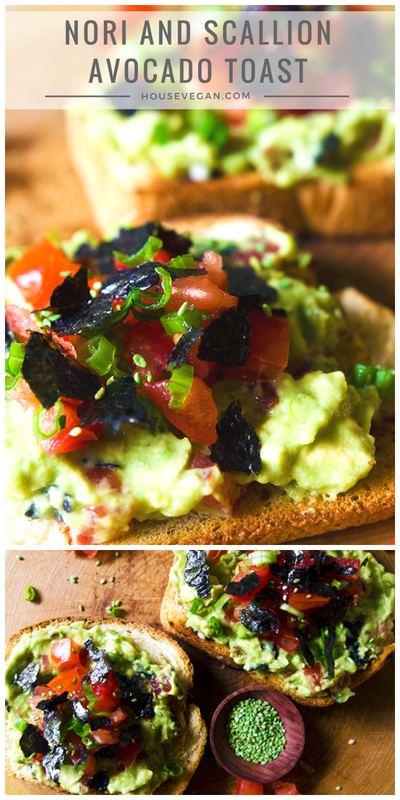 Before telling you about this Nori and Scallion Avocado Toast we gotta go to that good ol' disclaimer: Housevegan.com is a participant in the Amazon Services LLC Associates Program, an affiliate advertising program designed to provide a means for sites to earn advertising fees by advertising and linking to Amazon.com. This post contains Amazon affiliate links. Ooooh, Christmas is 18 days away, y'all! Normally I'm like "Can you even believe it?? Where did the time go??". But as Christmas and New Years approach that confusion of time slips away. 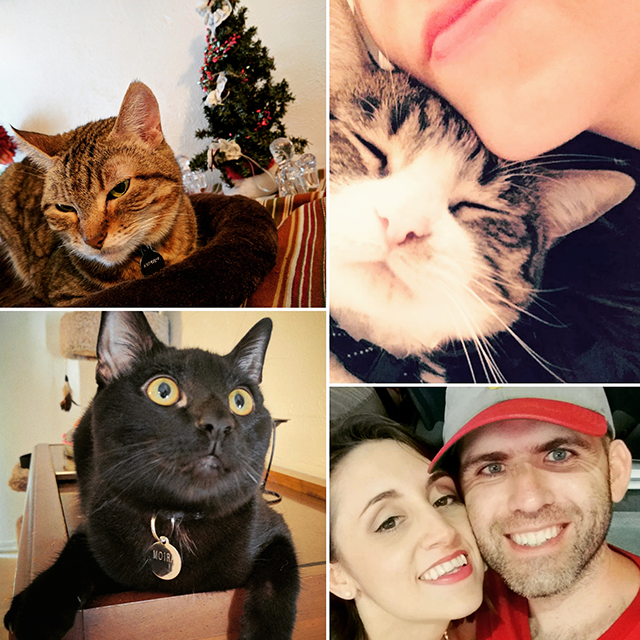 I'm just glad that the holiday season is here, and I'm ready to enjoy it with my little family. We got them printed from Social Print Studio (formerly known as Printstagram), and we love them. We have yet to send one out, but we're gonna get it all done for sure. Our plans for Christmas this year are so chill. We almost never have a laid back Christmas. Last year we were in Vermont, the year before that we were in Florida, and when we don't travel I tend to fill up our schedule with Christmas movie events, parties, dinner parties, shopping trips, etc.. I really enjoy the hustle and bustle of the season, but my husband craves the time to relax, reflect, and renew. l'll admit that as much as I love a jam packed Christmas season, I understand where he's coming from. It's how I feel about fall. Not to be such a vegan, but this whole grain bread topped with avocado and seaweed is SO delicious. It may not scream Christmas indulgence, but it kinda is! First of all, it's red and green. 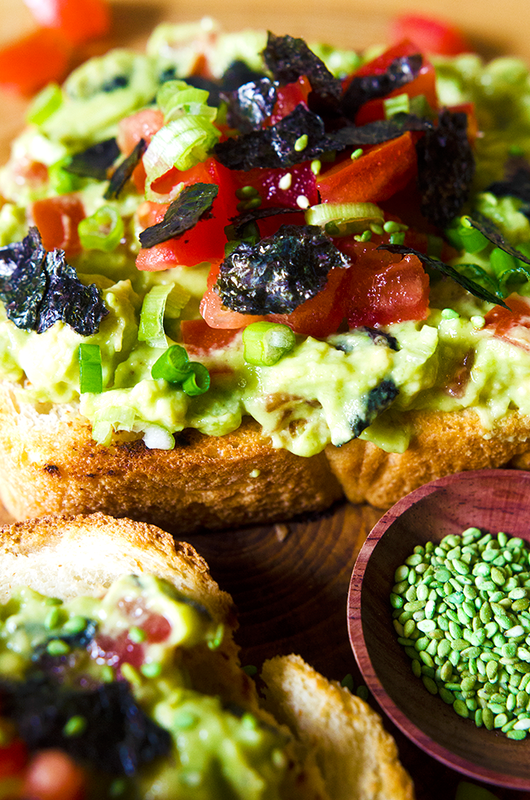 Second of all, the fattyness of the avocado paired with savory scallions and umami-rich nori make this easy avocado toast so satisfying. It doesn't seem like your common holiday fare, but this year it is for us. I'm not gonna lie and say that we're playing this whole holiday season healthily. No way, we're still going to enjoy our fair share of Christmas food. We just want the foods that we eat in between to counteract those treats. Especially after Thanksgiving which was fabulous by the way. We had a great time in Phoenix. We enjoyed the mountains, visited a bunch, played lots of cards, and enjoyed a delicious Thanksgiving dinner catered by Green. I'm a big fan of catered Thanksgivings, but I couldn't help but cook a little. We needed bread so I made homemade focaccia, and because we're obsessed, I also made my Poblano and Vegan Bacon Green Bean Skillet Casserole. I say this totally objectively - my green bean casserole is incredible and everybody LOVED it. I might insist on making it for Christmas too. 1. Add the avocado flesh to a small mixing bowl, and mash it up with a fork.2. Add the garlic powder, 3/4 of the chopped tomatoes, and 3/4 of the sliced scallions (just eyeball it) to the avocado, and gently fold them to combine. Salt the mixture to taste.3. 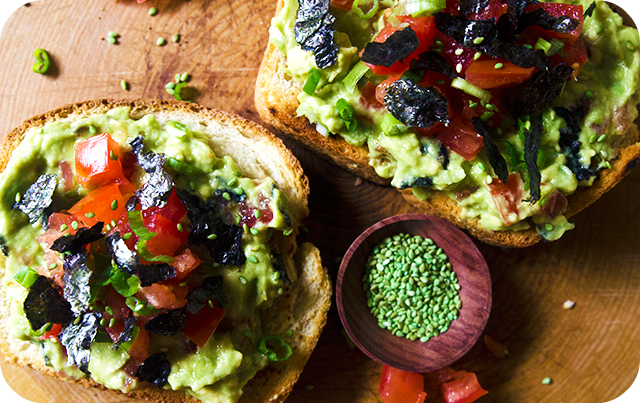 Top each slice of toast with half of the avocado mixture. 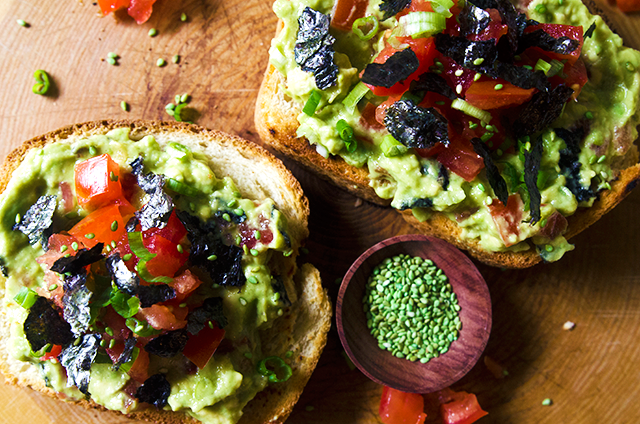 Divide the remaining tomato, scallions, and nori among the slices of avocado toast. 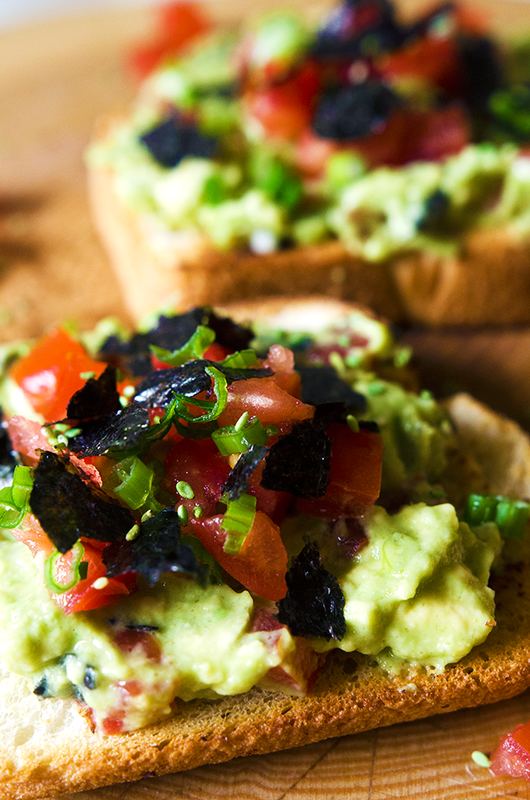 Sprinkle each toast with the wasabi sesame seeds if using.4. Serve immediately.